Taphonomy is the study of what happens to an organism after its death and until its discovery as a fossil. This includes decomposition, post-mortem transport, burial, compaction, and other chemical, biologic, or physical activity which affects the remains of the organism. Being able to recognize taphonomic processes that have taken place can often lead to a better understanding of paleoenvironments and even life-history of the once-living organism. Taphonomy is the subsection of Paleobiology that studies this transmutation of the biological into the lithosphere. 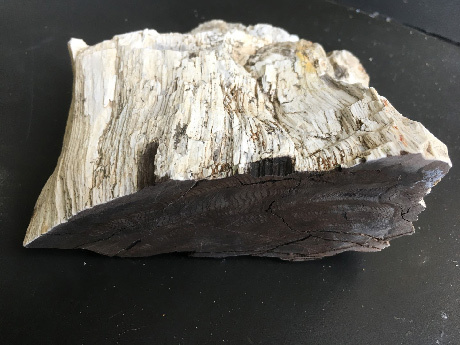 It is concerned with, “processes between death, decay, decomposition, transportation and burial.” (Cadée, 1991) The concept was critical to understanding Florissant's stumps because the paleo-history of its diagenetic transformation helps explain silicified wood performance and pathologies. 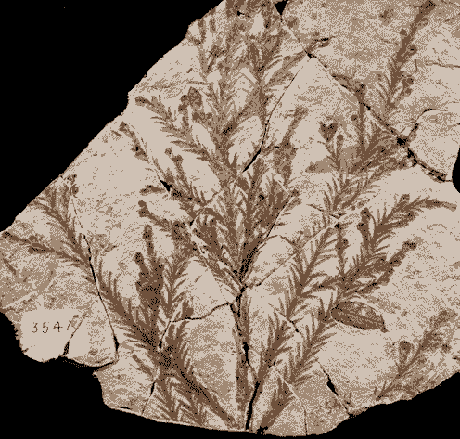 The story of Florissant’s fossil forest begins with the violent burial of a Sequoia affinis paleo-forest resulting from a volcanic mudflow, or lahar, as well as subsequent wet/dry cycles of submerging in water and desiccation which likely caused organic materials to alternately rot and silicify. 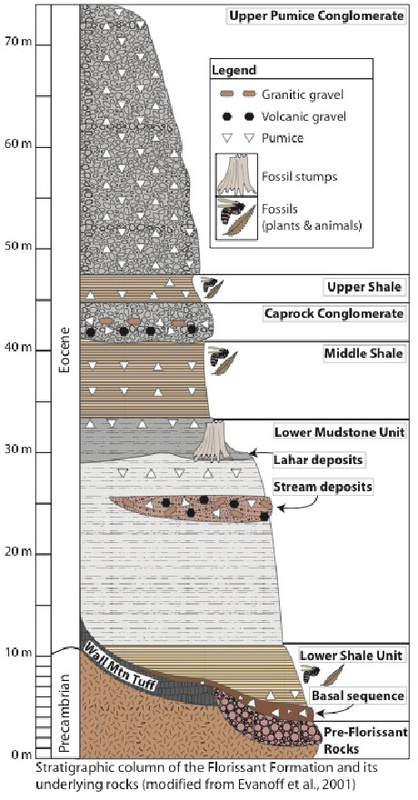 As part of the geological record, these silicifying stumps likely underwent pressures, fracturing, secondary mineralization, and seismic trauma since the late Eocene Epoch (~35.1Ma). The stumps at Florissant, were first described in 1876 by Leo Lesquereux, a Swiss bryologist and a pioneer of American paleobotany, as Sequoia affinis based on cones and foliage alone. This type of tree was renamed Sequoioxylon pearsalli in 1936 based on the wood by Henry Nathaniel Andrews, an American paleobotanist recognized as an expert in plants of the Devonian and Carboniferous periods. University of California Museum of Paleontology research associate Harry D. MacGinitie who, beginning in the 1930's, provided the most comprehensive modern account of the Florissant paleoflora, was responsible for synonymising these names. The suffix –oxylon means ‘-bearing an affinity to’ any preceding subject, in this instance the Sequoia genus, or sub-family Sequoioideae. 35 million years of evolution has probably created many differences between Sequoia affinis and the sole survivor of the Sequoia genus, Sequoia sempervirens. Meyer has postulated that Sequoia affinis could be ancestral to both the coastal redwood, Sequoia sempervirens, and the Sierra Nevada’s Giant Sequoia, Sequoiadendron giganteum. Considering the global geological timeline, the continental arrangement during the Eocene was relatively similar to today, but the paleoclimate was radically different. CO2 levels have been inferred at six times the current level and global mean average temperatures were on average 25°-30° Celsius. This warm wet climate allowed Sequoia affinis, an analogue of the contemporary coastal redwood, Sequoia sempervirens, and Giant Sequoia of the Sierra Nevada, Sequoiodendron giganteum, to flourish in what is now a dry and cold climate in central Colorado. The violent mudflow likely scoured bark away, named girdling by arborists, killing the tree above. With later lahar deposition a lake formed in the Florissant Paleovalley, which likely began silicification processes.